We’ve been writing about the emergence of Nattravnen since the first demo track surfaced in 2016, initially drawn to the music by nothing more than the names of the two participants in the project — Jonny Pettersson (Wombbath, Heads For the Dead, Ursinne, etc. ), who performs all the instruments, and vocalist Kam Lee (ex-Massacre, ex-Bone Gnawer, ex-Death, The Grotesquery, etc.) — and then overpowered by the music itself. 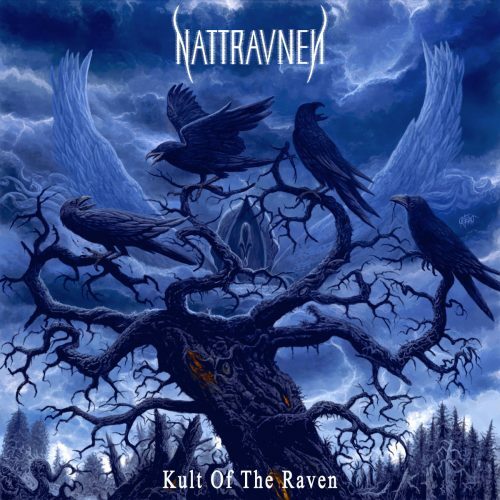 We’re now little more than a week away from the release of Nattravnen’s debut album, Kult of the Raven, and this time the occasion for our feature is the premiere of the album’s penultimate track, “Kingdom Of The Nattravnen“. Like all of the music from the album that has surfaced so far, this newest song is tremendously atmospheric but also explosively powerful. It changes constantly, but all the interlocking parts (which manifest elements of death metal, black metal, and doom) combine to create an increasingly chilling and disorienting experience, and one that will regularly send your pulse rate into overdrive. The enormous, cruel, buzzing riffs and long funereal tones, combined with Kam Lee‘s abyssal growls and roars, give the music a tremendously dark and brooding mood, while bursts of sweeping, cinematic ambience, tendrils of eerie guitar melody, and ominous chanted vocals add a dimension that’s unearthly — a feeling of mystical grandeur that’s haunting and also blood-freezing. And, as suggested earlier, the song is also stunningly explosive. The sheer fury of the drum blasting and the torrential chaos unleashed by all the other instruments and effects that Jonny Pettersson throws into these assaults (along with livid, shrieking vocals) are enough to take your breath away. This is pitch-black music which manages to be nightmarish, vast, and cataclysmic at the same time. The other tracks are equally powerful, and we’ve included streams of others that have surfaced so far, along with our own premiere. 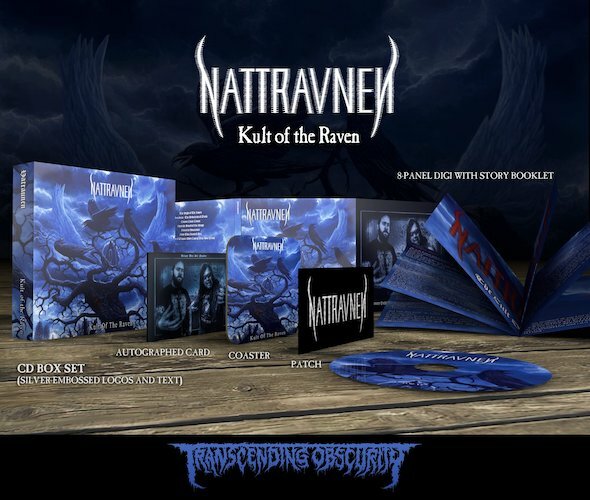 Kult of the Raven will be released on December 7th by Transcending Obscurity Records on all formats. The album features cover art by the great Juanjo Castellano, and the band logo was created by label owner Kunal Choksi. Great track, atmosphere aplenty! I pre-ordered based on the “Suicidium-” track and really appreciate the other ones as well. This could be Record of the Year material for sure!